Fusion AromaTherapy™ is Madeleine’s integrative approach to aromatherapy, using conventional essential oils and base oils and compounds, as well as CO2 extracts, sharing her wealth of knowledge and experience in their use and successful blending for her work with the frailest of people. 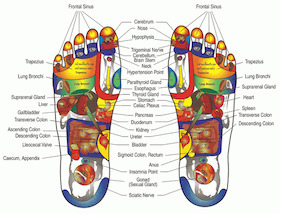 Well established BodySystems Method of Reflexology prepares you with the knowledge, skill and compassion for professional level practice, continued education and advanced training leading to National Certification. Immerse yourself in the world of essential oils. Hands-on learning and practice, assessment and blending, in this ideal environment in which to study the art and science of aromatherapy. A 50-hour certificate course. 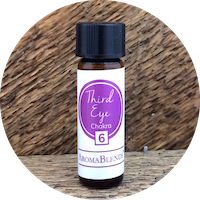 Providing handcrafted essential oil blends and books. Custom blending available by consultation. 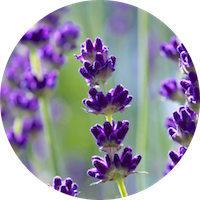 Aromatherapy Foundations is a 50 (in-class) hour course designed to guide you from novice or enthusiast to being proficient and confident in the key elements of this increasingly popular natural therapy. Through this course, students develop a firm foundation in the safe and therapeutic applications of essential oils, for the benefit of body, mind, and spirit. In this course you will learn about the lymphatic system and its relationship to detoxification and chronic health conditions. During this three day training, you will learn full body manual lymph drainage and how to integrate this, with ease, into your practice. Active Isolated Stretching (AIS) is a dynamic technique that stretches muscles, tendons, and fascia specific to anatomical planes of movement. It remodels the body using gentle, rhythmic movements that avoid triggering the myotactic reflex, which causes a contraction in the tissues being stretched. Utilizing the principles developed by Aaron Mattes, this unique stretching modality restores joint mobility, reduces muscular/fascial tension, changes neurology and improves circulation.